Damien Oliver is a well known jockey in the upper eschalons of the Australian Horse Racing arena. 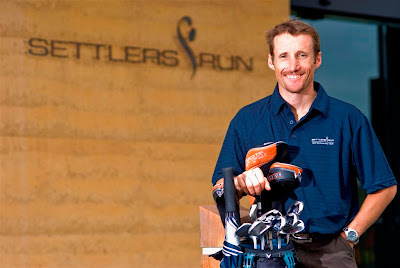 I recently had the chance to meet and photograph him for Settlers Run, a new Golf Club for whom I have become the photographer of choice. It seems Damien is quite the hand at a round of golf too! Working quickly, I used off camera flash to simulate sunlight, seeing as there was little to be had. Nikon's I-TTL flash system is perfect for working quickly and effectively.